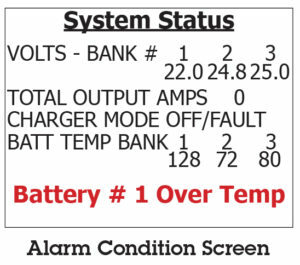 LCD screen diagnostics and system status and alarm conditions, plus remote alarm contacts improves reliability as operators are kept apprised and forewarned of potential system issues. The LCD monitor indicates nature of the service required, yet the charger will rarely need to be removed from the vessel! 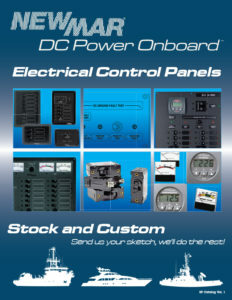 The front panel hinges upward allowing access to the power module and controller circuits which can be easily removed, and a replacement quickly plugged back in place, specialized techs not required, minimizing down time and service labor expense. 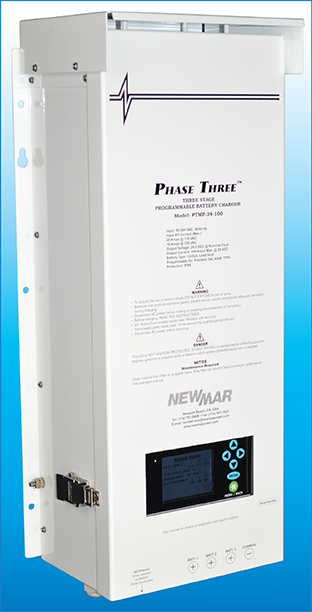 Reliability is further enhanced on the 100 and 150 amp systems via use of multiple power modules, should one fail the system will signal a fault but continue to operate at reduced power output. 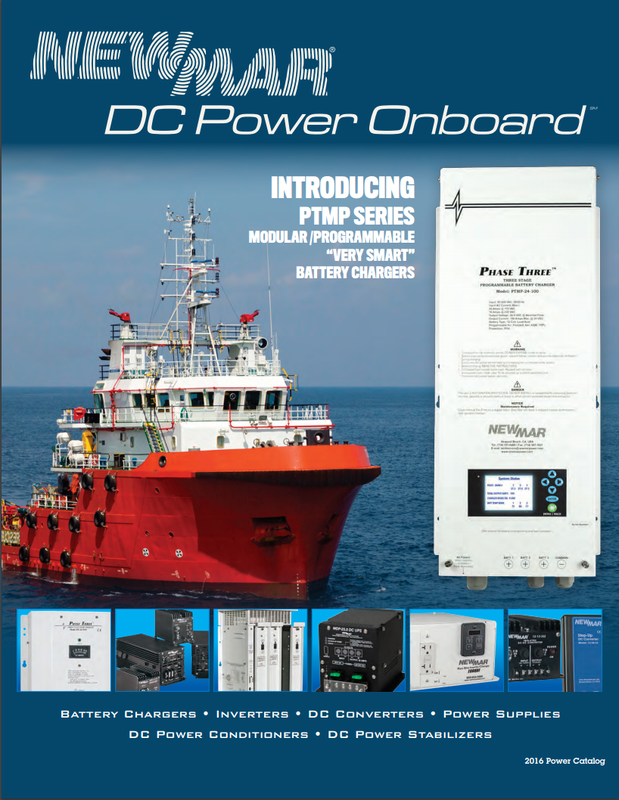 The PTMP holds ABS Type Approval Battery Charger and Power Supply. Multiple modules qualifies as redundant ABS essential service device, ABS Certificate. 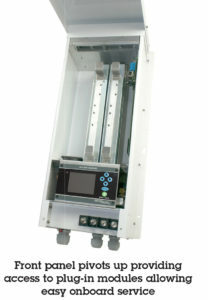 Enter charge profile for multiple battery types, and monitoring parameters via front panel key pad, LCD screen or by laptop connection. On-screen diagnostic define fault conditions. Hinged front panel access to internal modular plug-in circuits makes replacement easy without removing charger from installed location. 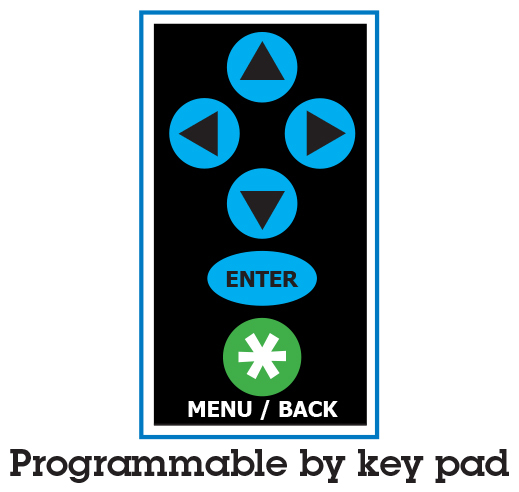 Remote installation of LCD display and touch pad.